Cross one thing off my February list. These blocks are for March birthdays. Now to find an envelope for them and more importantly not lose them before I need to mail them. 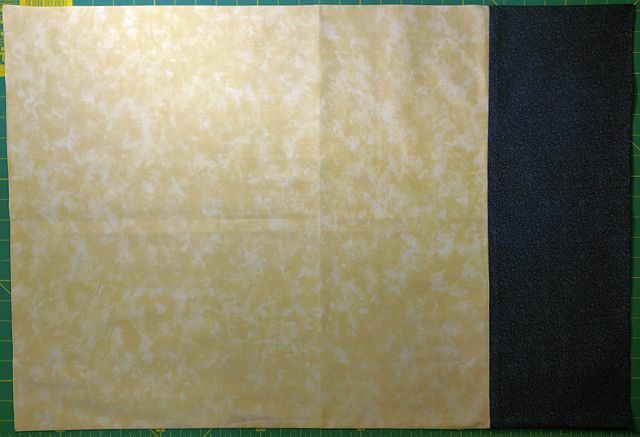 This is the fourth of the five block sets I’m making for the SBS swap. I needed to make 5 to swap and a 6th to keep for myself, but I ran out of the beige fabric. 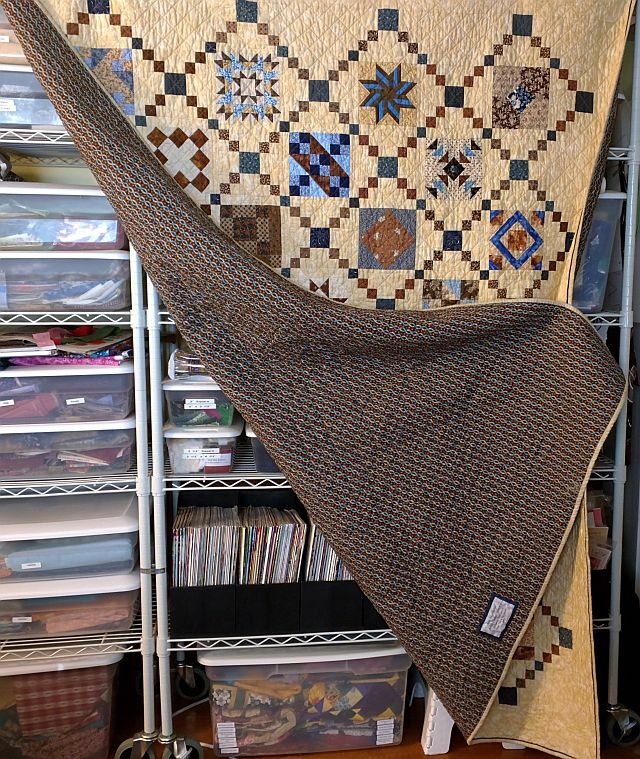 I’ll dig around in my stash to find something similar to finish my block — but not tonight. I haven’t made this week’s SBS BOW. I’ve got another 23 hours to get it done and turned in. But first I’m headed to bed. 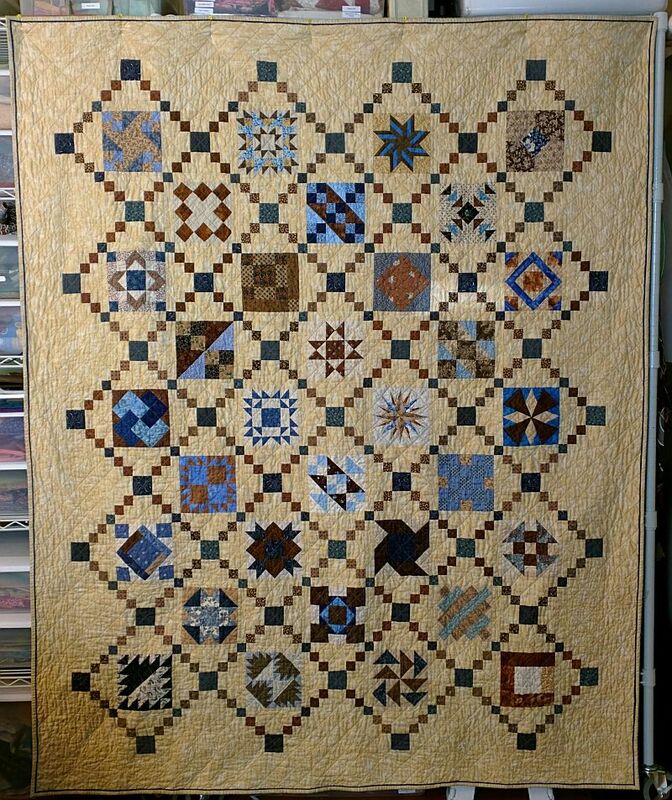 Since it appears that listing my quilting goals here and on a large printout by my computer helped, I’m doing it again. This is a relatively modest list this month. But I’m itching to start something new and I have several kits so that might happen as well. 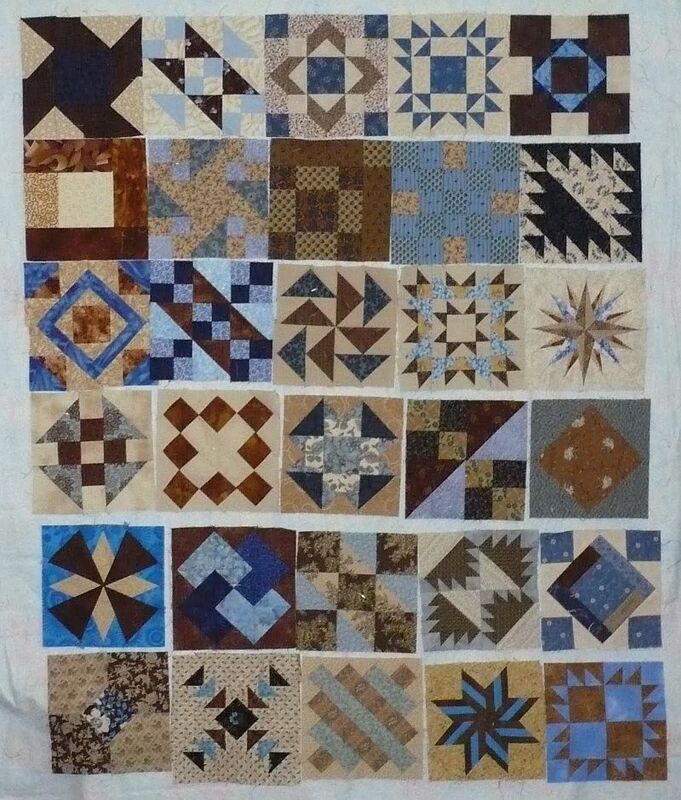 On the other hand I realized today that I have more quilt tops waiting to be quilted than I do quilts in various stages of progress, so maybe I can talk myself into quilting 2 quilts instead of starting something new.